–Jason opens the show stumbling over his own name, among other things. Then we learn a couple things about bubbles and plumbs. —Pope Francis is receiving increased pressure to speak out about the allegations made against him by Archbishop Vigano. We give our thoughts on whether or not the pope will or should resign, and also get reaction from the SFR listeners. –A paranormal investigator shoots twice at an intruder that isn’t there, later saying it may have been a ghost. Further research indicates this is the second time he has called police about a home invader that no one else can see. –Jason asks how he should handle friends and/or people he follows on social media who regularly spread misinformation. Bobby shares a few thoughts, and the SFR audience gives some advice as well. –Bobby explains why his wife is a better parent than he is because she allows their kids to question her rules or punishments. Jason is disappointed in Bobby, mainly because his story featured no kids being beaten. –Should Democrats campaign on Trump’s impeachment, or wait for the results of the Mueller investigation? –Paying our respects to John McCain, who passed away this week. –What are the odds Trump leaves office before the end of this term? Friend, family member, possible werewolf. 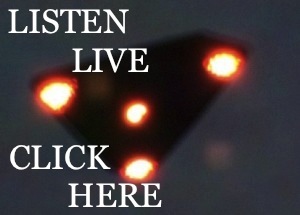 I co-host Strange Frequencies Radio, blog at Confidential Korbus, and generally walk among the weird. When I'm not doing busywork, I can usually be found with my nose in a book, my eyes glued to a glowing screen, or my ears tuned to The Ramones. This entry was posted in Downloads and tagged ghost hunting, john mccain, pope francis, shooting a ghost, should the pope resign?, social media misinformation, strange frequencies radio, trump impeachment, vigano letter. Bookmark the permalink.